Welcome to Travel Guide 2 Mexico, the site about travel, tourism and vacations in Mexico. The United Mexican States (Spanish: Estados Unidos Mexicanos), usually known simply as Mexico (Spanish: México) is a country located on the North American continent that lies to the South of the United States of America. 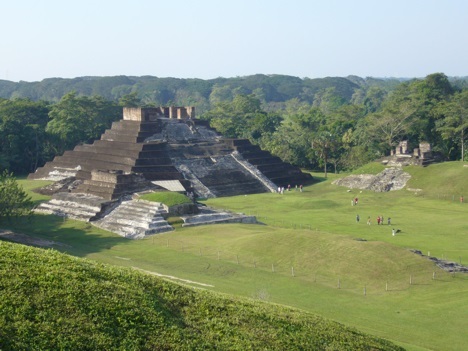 The country has also land borders to the South with Guatemala and Belize. Mexico has two long coast lines: the West coast borders on the Pacific Ocean, including the Gulf of California (also known as the "Sea of Cortés"), and the East coast lies along the Gulf of Mexico and the Caribbean Sea. As of 2007, Mexico has an estimated population of 108,700,891, making it the 11th most populous country in the world, and the most populous Spanish speaking nation. This total includes approximately 19.2 million people living in Greater Mexico City (Spanish: Zona Metropolitana del Valle de México), which is the most populous metropolitan area in the Western hemisphere, and the second most populous in the world (after Tokyo, Japan). 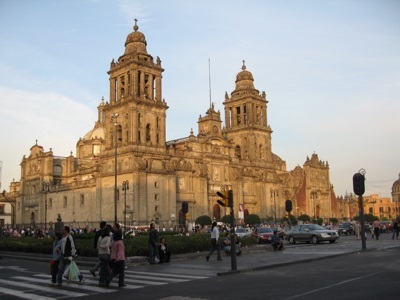 There are many other cities in Mexico, including nine other cities with a population of over a million, and over seventy cities with populations of over 100,000. Mexico has a large free market economy, the 12th largest economy in the world, and falls within the upper middle-income category. The economy of the country is increasingly diversified; oil remains the country's largest source of foreign income, but remittances from Mexican citizens working in the United States, and tourism are also important. The principle problem facing the Mexican economy is the huge income and wealth disparities in the country, for example, some parts of the country fall in the same region of the United Nations Human Development Index as Germany or New Zealand, but other parts of the country are comparable to some of the poorest sub-Saharan African nations.